Isogona tenuis - Hodges#8493 (Thin-lined Owlet). 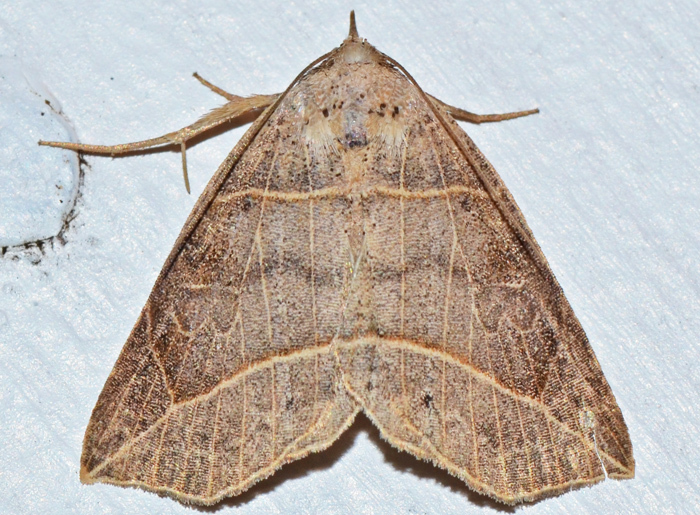 Found in deciduous woods across the eastern half of the country, this moth has thin lines along the veins of its forewing. There are seven Isogona species in North America. The larvae feed on Celtis (hackberries) species. The late instar caterpillars rest during the day under bark or in grass shelters at the base of the food plant and resume feeding on foliage at dusk.